with Zhoushan Jinhaiwan Shipyard of Shanghai for two VLCCs to be delivered in December 2012 and May 2013, respectively. At the same time, GulfNav agreed to charter the vessels for 10 years to Grand China Logistics Holding (Group). The charter agreement is worth nearly $285 mill, the company said. The new vessels will increase GulfNav's VLCC fleet to four and its carrying capacity to 8 mill barrels. 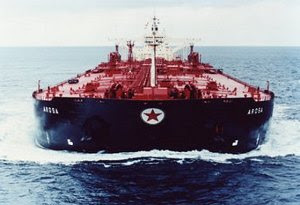 The company said it planned to expand the VLCC fleet to nine vessels (18 mill barrels) by 2015, as part of its five-year strategy. The plan will also see the expansion of the chemical fleet and the listing of subsidiaries in international stock exchanges.